Thai police staged a protest Monday to show their frustration after weeks of dealing with aggressive and often violent anti-government demonstrators, with officers saying that the order for them to show restraint has left them vulnerable and humiliated. About 500 police with family and friends gathered in a public square near the main protest camp in Bangkok, four days after a policeman was shot dead in a pitched battle with demonstrators who were trying to stop candidates from registering for February elections. The only gunmen located on rooftops in the area were those deployed by the regime itself, indicating it was either accidental friendly fire, or an intentional provocation meant to discredit the protesters and justify an increasingly violent campaign to suppress them. In fact, pro-regime propagandists had warned weeks ago that just such a plan was being set in motion. He would also assure fellow Thaksin supporters that if provocateurs killed police "it would not discredit the government." 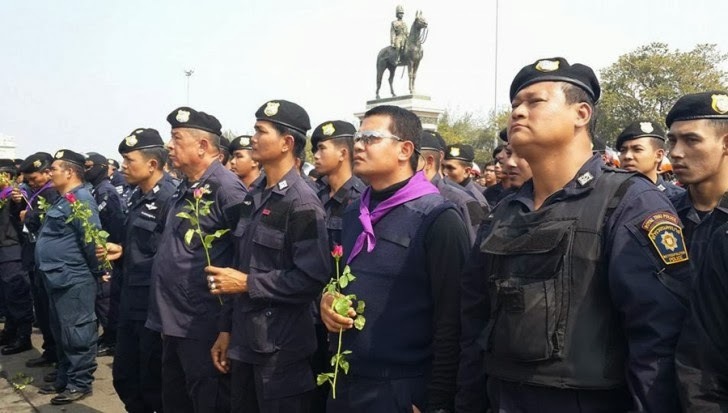 It appears that indeed the regime plotted to kill its own police, carried out the attack on December 26 in Din Daeng district, and is now trying to capitalize on the resulting outrage by staging today's "police rally." By politicizing the Royal Thai Police in this manner, when the evidence clearly implicates the regime itself, the regime has threatened the future of this institution. Should the police continue to allow themselves to be used as pawns by the current regime, they, like the now disgraced, clearly politically-motivated Department of Special Investigation (DSI), may eventually find their authority and mission unrecognized and eventually replaced when the Shinawatra regime inevitably falls. What is to follow in the wake of the regime's attempts to remove the police's impartiality - will be more bloodshed as the regime attempts to encourage both police and its "red shirt" supporters to individually conduct acts of violence against protesters. 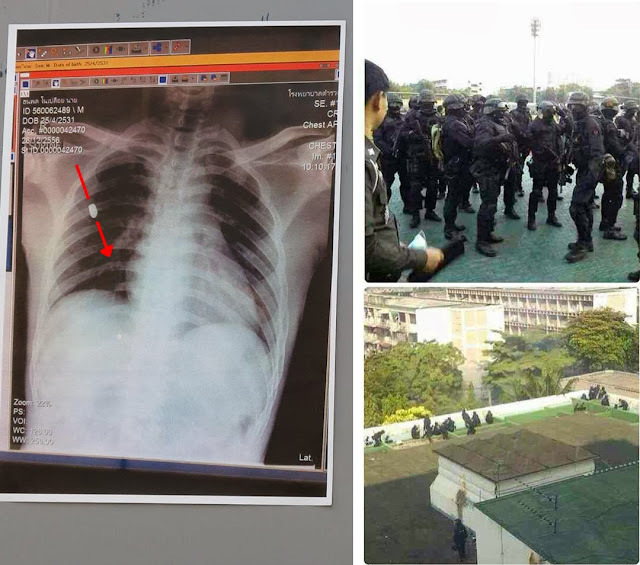 It will be amongst these attacks that the regime launches its own assaults conducted by the same professional mercenaries employed by Thaksin Shinawatra during violence in 2010. There have already been nearly nightly attacks on rally sites that have left many injured and one dead.